Your Kenneth Burke Society Membership entitles you to premium content at KB Journal, book discounts, and more. Read more about it here. The membership options are listed below. Click on the link to review the option and then, if desired, add it to your shopping cart. When ready, you may check-out and pay online securely through PayPal with a credit card, an echeck, or an existing PayPal account. Your membership expiration date will be updated automatically. 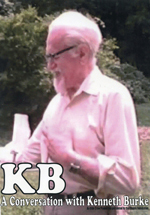 Thanks for your support of the Kenneth Burke Society.